Hope For A Ride vehicle recipient, Andrea Henderson, at Grubbs Nissan in Bedford, TX. 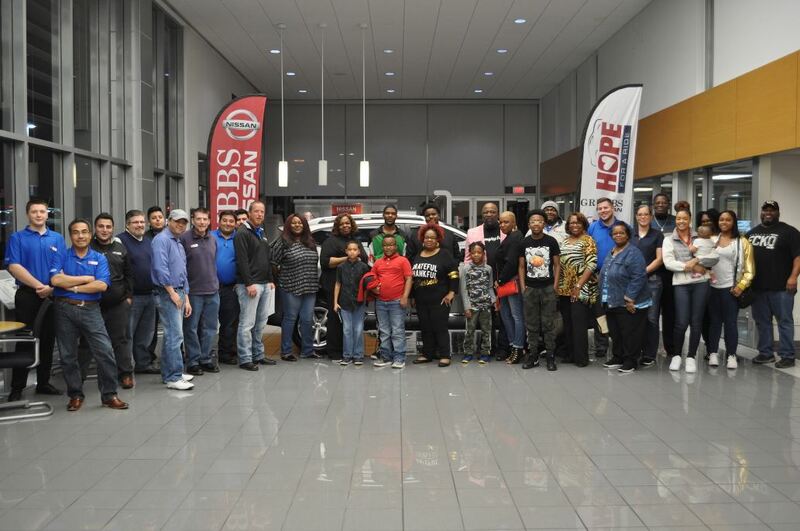 BEDFORD, Texas - Grubbs Nissan teamed with HOPE FOR A RIDE and Christ Lifters Community of Faith in Fort Worth, TX to celebrate at the R.E.D. (Remembering Every Day) Women's Conference on October 13, 2018. This event encourages women to focus on their physical, mental and social health. 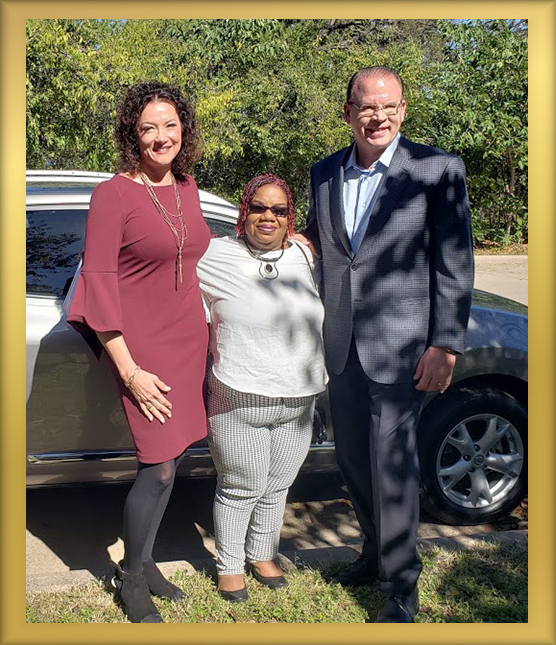 We presented this month's gift of a 2011 Nissan Rogue to a very worthy HOPE FOR A RIDE recipient, Ms. Andrea Gail Henderson at Christ Lifters Community of Faith on Sunday, November 4, 2018. Andrea is a mother of 3 boys who has had some health issues recently. She didn't have a vehicle and was in true need of reliable transportation to commute to her many Doctors appointments. Along with Doctors appointments, Andrea is also on dialysis from Renal Disease. She's currently on the kidney transplant list. "We are very thankful to be able to provide this vehicle to Andrea and her family so she as the independence to take her teenage sons to school, their activities, church and most importantly the independence to drive herself to dialysis. We are prayerful for Henderson family that soon a new kidney will be available from a donor, "said Jenna Grubbs. We hope for continued healing and health for Andrea's future. This vehicle will be a positive step in assist Andrea on her life journey which has had its great difficulties recently. 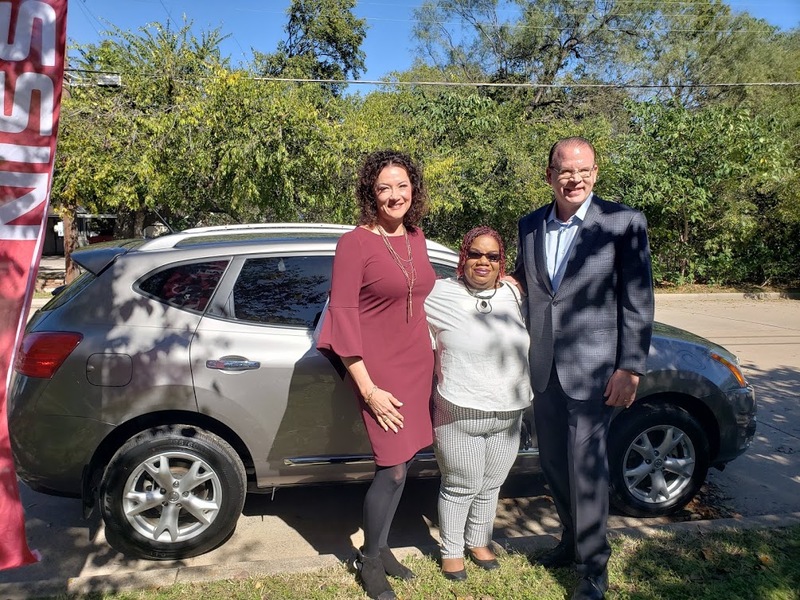 Andrea's family will have the security knowing all her important necessary dialysis appointments will be assisted with reliable transportation in her gifted Grubbs Nissan Altima. She is currently living with her mother because of her health issues, however with continued healing and this vehicle she'll back on her own very soon supporting herself and her boys. Grubbs Nissan's gift of the Nissan Rogue is given with a clear title and along with the vehicle, Grubbs Nissan will provide one year of maintenance from the date of delivery. The vehicle was delivered on Saturday, November 24, 2018 at 6:30 pm in the Grubbs Nissan New Car Showroom with friends and family from Christ Lifters Community of Faith and the Grubbs Nissan team were in attendance at 310 Airport Freeway, Bedford, TX. Please go to www.grubbsnissan.com for more event information. HOPE FOR A RIDE was developed by Chris & Paul Sansone, Jr. of Sansone Jr.'s 66 Automall, a family-owned and operated Nissan Dealership similar to Grubbs Nissan. Through local church and civic organizations, they donate vehicles to individuals who would greatly benefit from having transportation.